This entry was posted in Shopping and tagged Alighieri, Caroline Constas, Charlotte Chesnais, sophie buhai by Carolina Engman. Bookmark the permalink. 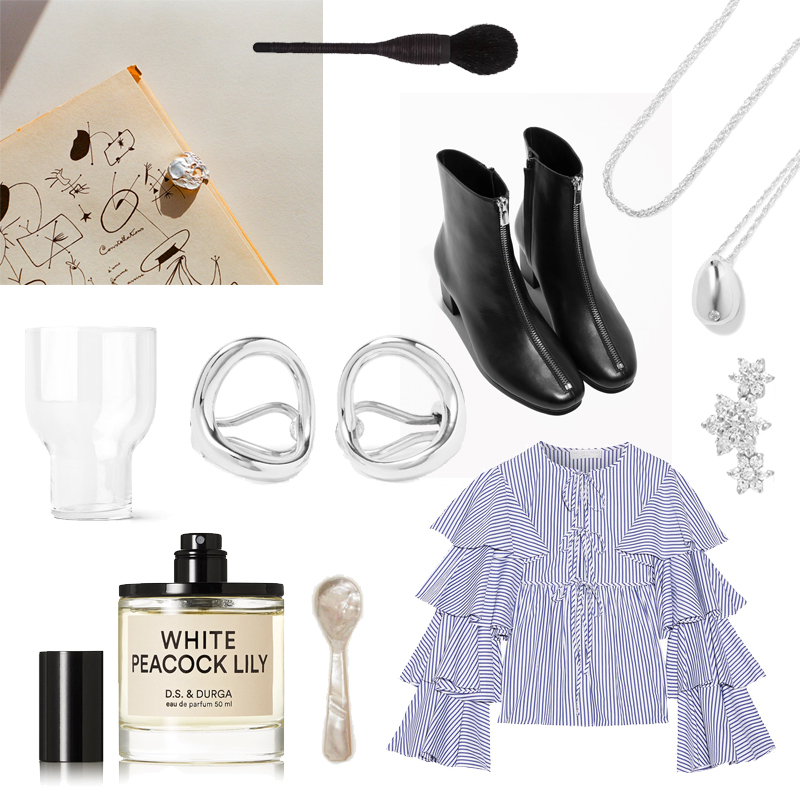 Amazing selection, I love the spoon, the ear cuffs and the boots! I love the boots so much. Love the zip detail! Also adore the top and its frilly sleeves. Boots and accessories. You can never have enough! Carolina, I love everything you do and how you do it. Thanks for the daily inspiration! Can you tell what program you use to create collages for the ruble “Wishlist”? That White Peacock Lily Perfume looks so lovely. Will definitely be checking it more. Great post! Love that stripes top!! That sleeves are amazing!! The ruffle top is going in my closet. Seriously its gorgeous and with those leather boots too. Love it.